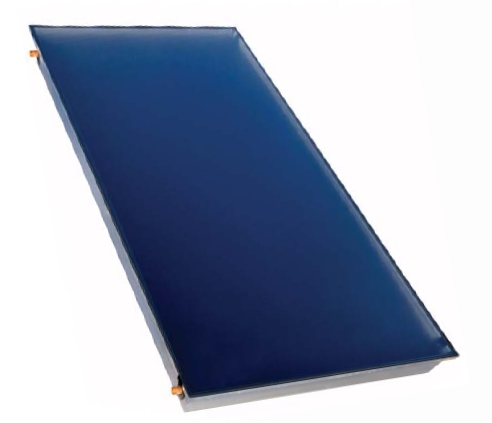 Flat plate solar collectors have a large glass surface and a large absorber. In full sunshine, their power output is high. They utilize most of the solar energy that reaches their surface. The materials used guarantee a long service life and stable parameters of the collectors. All models are equipped with an anodized aluminum frame and a copper absorber with a long-life absorption layer (carried out by vacuum deposition). 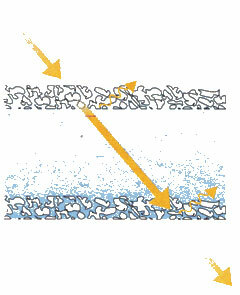 The absorption layer of these collectors has a highly selective surface. Its ability to absorb solar radiation is high but its heat dissipation (heat loss by dissipation) is very low. Solar tempered glass in all models is highly shatterresistant and permeable for solar radiation. KPW1 model uses solar antireflection glass that represents the best in solar glasses. A special coating on both sides of the glass eliminates reflections of solar radiation and the absorber receives more solar radiation. 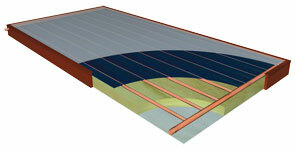 Thermal insulation limits the collector’s thermal loss and increases its efficiency. 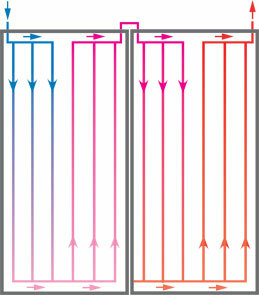 The thickness of the mineral wool insulation is between 2 and 6 cm depending on the model. Regulus solar collectors are certified by an independent Test Lab according to the latest European standard EN 12975-2. This standard involves among others also measurement of the output and efficiency, of mechanical resistance incl. hail resistance and long-term weather resistance. 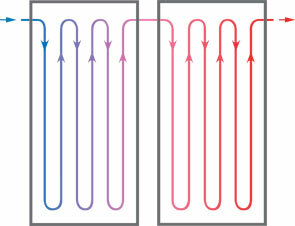 The right collector should be selected depending on your application – for heating DHW, heating a pool, or as additional heating to your low-energy house. Collectors of better parameters will enable you utilizing solar energy even under unfavorable conditions, in the spring and autumn. KPG1 is a new, advanced collector designed for high efficiency and performance while maintaining reasonable price. it is manufactured on a robotized production line with minimum of human labor. 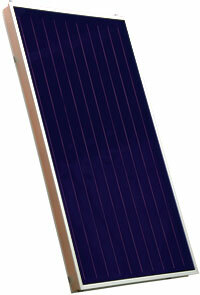 The new bonding technology without frame brings an elegant design and a large surface area for solar energy reception. The highly selective blue absorber coating is made of ceramics/metal compound (CERMET) and represents the best in present selective materials. The concentration of metallic particles decreases towards the surface. The surface shows a high solar absorptance and low losses by heat emission. Metal passivation together with the ceramic layer works efficiently as a diffusion barrier, also protecting the surface from corrosion. This ensures a long-time stability of solar parameters, absorption α= 95 % (± 2 %) and emissivity ε= 5% (± 2 %), and a long service life of the absorber. Antireflection solar glass represents the best in solar glasses of today. 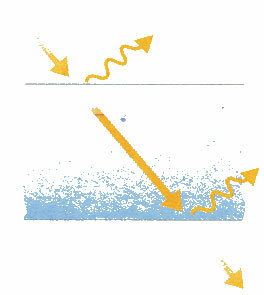 The picture shows the incident solar radiation and its restricted reflection outwards the collector thanks to the double sided antireflection layers. Solar permeability is 96%. Examples of solar sets with flat plate solar collectors contain connection diagrams for sets with flat plate collectors.